The Coffin Golf Club's complete renovation makes it one of Indianapolis' most inviting courses for golf outings. This exciting and challenging championship-quality course has been completely redesigned and reconstructed. The Coffin Golf club is breathtakingly beautiful, with mature trees and a winding river, which provides an ideal setting for a memorable day. Because Coffin is a public course, the fees are reasonable - but the service and attention to detail are comparable to the most exclusive private clubs. Located just minutes from the heart of downtown Indianapolis, Coffin offers the perfect opportunity for your next golf outing. We welcome golf outings of any size, and will be happy to discuss your arrangements at any time. Please call 317-327-7845 for current rates. 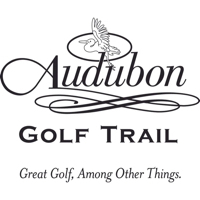 Call 317-327-7845 for rates and tee times. Contact Coffin Golf Club at 317-327-7845 for more information and details on holding a golf outing at the course. Contact Coffin Golf Club at 317-327-7845. Contact Coffin Golf Club at 317-327-7845 for onsite or nearby dining options. This profile was last updated on 09/07/2018 and has been viewed 7,434 times.